From buy-to-let landlords to breweries, all sorts of companies have sought crowdfunding in recent years. Traditionally the crowd has been able to invest in companies or projects from as little as £5. But new platforms have started to emerge with higher minimum investments, offering a form of premium crowdfunding. A new report from the Cambridge Centre for Alternative Finance at the University of Cambridge and innovation charity Nesta showed the amount of money contributed by crowdfunding and peer-to-peer through investments, loans and donations to small businesses and causes reached £3.2 billion in 2015. Returns are much higher for those lending the money, but so is the risk for individuals. There have been a number of high-profile failures in recent weeks. Claims management company Rebus Group, which raised £816,790 through Crowdcube last year, went into administration at the beginning of the month, marking the biggest crowdfunding failure. It is worth noting that investment bank Lehman Brothers had $639 billion in assets and $619 billion in debt when it collapsed in 2008. We reveal two opportunities for premium crowdfunding. It is borne out of a concern that many companies who seek crowdfunding are unsuitable and lack exit plans that would give investors returns. On Growthdeck, all businesses seeking capital would be put through private-equity style due diligence and would need to show a proper exit plan over a set number of years. Growthdeck is run by a team with private equity experience, which they say will give them unique skills to assess appropriate opportunities for investors. For example, Gary Robins, co-founder of Growthdeck, worked for private equity firm 3i for 15 years and has also worked for Radius Equity and Rockpool Investments. Mr Robins claims that because other platforms don’t have a private equity background, they are valuing companies too high, therefore putting investor money at risk. Companies will need to show an exit plan within five years, or they simply won’t get backing. He said: ‘We are not here to back lifestyle businesses. There doesn’t have to be a certain exit, but there needs to be a gameplan. ‘We see too many businesses on other platforms that are overvalued. A lot of crowd investors just have their money in the lap of the gods. Investors will need to pledge a minimum of £1,000. This is higher than on other platforms, where you could put in as low as £5 into projects. Robins explains that Growthdeck is seeking high net worth or sophisticated investors, adding: ‘£10 and £50 players shouldn’t be investing in the things we have observed. Projects on the platform so far include £500,000 being raised for Framvern, a software business allowing companies to share data anywhere in the world. You could also invest in Growthdeck itself as the platform is also seeking £500,000. There are no charges to investors but companies are charged 7.5 per cent of capital raised and pay 2.5 per cent per year until they exit. We felt it was a little unfair to claim all other crowdfunding platforms don't do proper due diligence or valuations, so we asked one of the biggest, CrowdCube, how it monitors those asking for funding on its site. How are valuations agreed on the site? Crowdcube has a team of experienced financial analysts who assess the businesses before they list on its site and provide guidance on valuations, but ultimately the business determines its own valuation. As a result, we think the valuations are more transparent, open and fair because it’s the members of the crowd who decide whether the valuation seems accurate, and if the business is worth investing in. Investors discuss them openly on our forums, and sometimes a company will re-evaluate its position based on feedback from the crowd. There’s even a tool where they can disagree with the valuation and propose a new valuation, something that is often rigorously discussed in the forums. Camden Town Brewery and easyProperty are just a couple of examples of this. Ultimately it's important to remember that business valuations are always subjective. How does Crowdcube conduct due diligence on businesses that seek funding on its platform? As a regulated business, we approve every pitch on Crowdcube as a financial promotion before it is open to investment from the crowd. This is to ensure that all the information presented to investors is fair, clear and not misleading. As part of that process we review and verify evidence supporting any claims being made by the business, such as market size, contracts and partnerships, to ensure the information provided is accurate. We also conduct due diligence on the company, its legal structure, financials and directors. It is worth noting that as a result of our stringent due diligence processes, 80 per cent of the businesses that apply to Crowdcube don’t pass those thorough checks and therefore don’t make it onto Crowdcube. Around a third of Crowdcube’s team of 85 employees work in compliance and due diligence, including legal personnel and business analysts with backgrounds at firms such as Goldman Sachs, KMPG and Citi Group. A lack of bank lending has seen many small businesses turn to crowdfunding and peer-to-peer. But there is also the option of getting finance by issuing bonds. This can be tricky for smaller firms, but UK Bond Network gives businesses the opportunity to create bespoke bonds on terms that suit them in seven to 14 days. They can raise £500,000 to £4million for terms of between one and three years. Investors make bids on what they are willing to pay and the top bids set the price eventually agreed and paid by the bond issuer. The minimum investment is £5,000 so this is aimed more at high-net worth or sophisticated investors. Businesses are vetted through a nine-step process on the platform, including face-to-face meetings, credit checks, and a look at the audited accounts where available. Remember these are not listed bonds so are not tradeable, although the platform is believed to be working on a secondary market. This also depends on there being demand for the bond. And there is always a risk with bonds that the company goes bust. There are several crowdfunding platforms that can give you exposure to the property market through buy-to-let. But now you could also get into property development, as long as you have £20,000 spare. New property development platform Cogress gives investors the opportunity to invest in real estate projects over a set period of years. Investors can find out all the information on the project, such as costs and developers involved, and can visit the site should they wish. The site claims investors could expect annual returns of up to 24 per cent. Their money is only paid out at the completion of the project. An exit means the development is either sold or the units are successfully rented out. A recent project in Golders Green, London, raised £825,000 and completed within 15 months, achieving a return of 31.33 per cent. 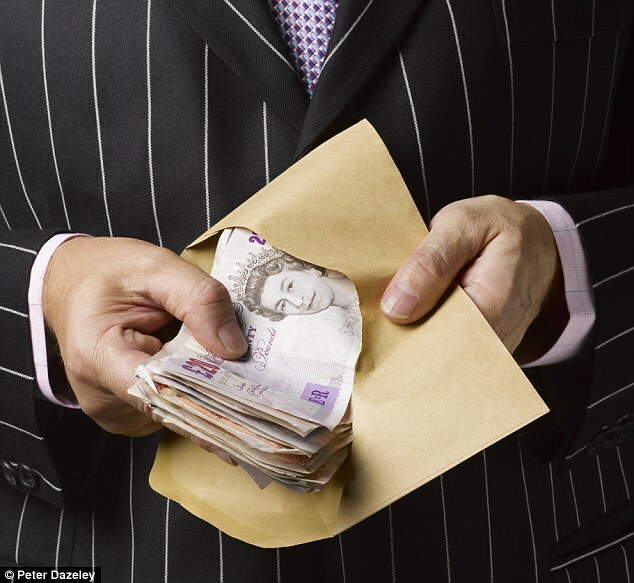 Investors pledging £20,000 to £50,000 are charged 20 per cent on any profits, while those putting in more than £60,000 are charged 15 per cent. There is also a deal initiation charge, which is typically 7 per cent of investor capital of all the capital to cover due diligence, legal fees and monitoring. These set-up costs are lower than if you wanted to do your own property development as you would need the land, bank finance and a relationship with a developer - all costs that could run into the millions. Project terms range from 18 to 36 months, and while it is not possible to exit your investment early, projects may complete ahead of schedule - such as the Golders Green development. There are, of course, risks such as projects not completing or achieving the required price. But the platform has set up contracts that make the developers liable for delays. If the platform fails, the investor money is held in a 'special purpose vehicle' so the property could be sold if investors wanted their money back. The platform has a team of property and legal professionals behind it, for example, chief executive Tal Orly who founded the overseas property investment specialist Symbia Realty Portfolio and is also a licensed solicitor.